Styled after movie stars, famous people, cartoon or fictional characters, paper dolls were a toy that many children grew up playing with. These toys usually came in book form or placed on a single cardboard page. The dolls each come with their own clothing. These fashions designed with tabbed edges so they could easily fold over and thereby attach to dress the cardboard doll. Able to easily create a delightful world of imagination these delightful dolls quickly melted the hearts of those who owned them. They were a toy that most families could afford no matter how lean their budget. The dolls would occupy a child for hours and when play time was done the dolls and their accessories would be stored away in a cardboard box till the next time that they could be taken out once again for play. The very first paper dolls may have been those created through the Japanese art of Origami. This traditional art of paper folding has been around since about 800 AD and it is known that puppet and animal characters were fashioned from it. These paper craft toys would of course have been played with thus making them the very first paper dolls. The largest US producer of paper dolls McLoughlin Brothers was opened in the early 1800's and remains in existence today. 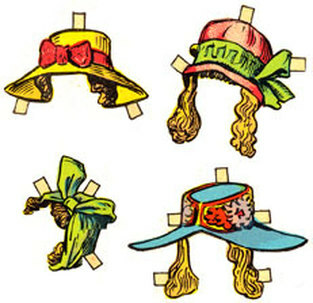 Traditional vintage paper dolls as old as the 1780's can still be found in museums. Next time you visit the toy section of a museum be sure to keep an eye open for these vintage dolls. Paper dolls have become a highly collectible item. Played with by young girls for virtually as long as paper has existed, the dolls and their outfits experienced a lot of wear, and tear throughout their existence. 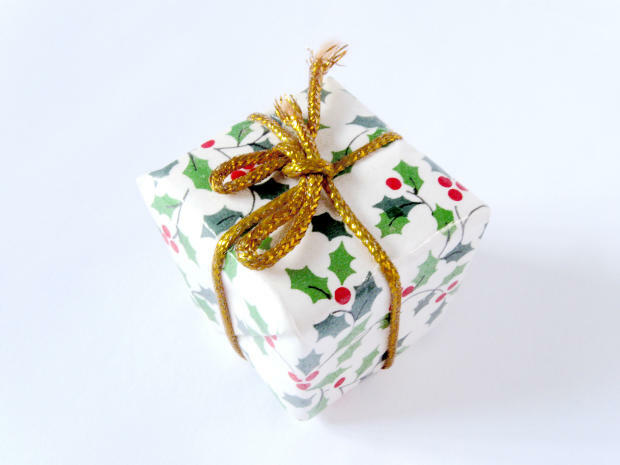 This makes finding intact books or even pages of retro or vintage paper dolls highly collectible. So if you happen to stumble upon some paper dolls while digging through the attic or cleaning out the garage, treat them with tender loving care. They are probably very rare. Shirley Temple is one of the more famous paper doll sets. She was a popular young movie star and little girls wanted to be just like her which made her dolls highly desired. Because her dolls were also well played with there tend to be fewer vintage ones left intact. Shirley Temple doll sets could be found quite often on the gift list of little girls at Christmas time as well as on their birthday wish lists. 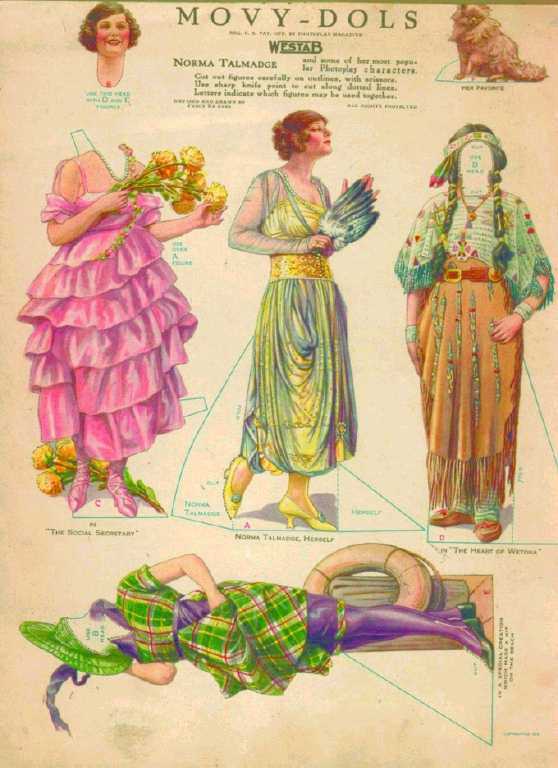 She was a popular choice when it came to paper doll themes. A Disney Princess paper doll set is popular with modern girls. These delightful princesses have captured the hearts of young girls world wide and are always a favorite of young girls. Disney's fairies are a delightful and a novel paper doll set. Ideal for young girls who still believe in the wonder of magic and fairy tales. Barbie and her friends are a delightful paper doll set coming complete with their own unique wardrobe fashions. This new true to life princess has brought magic back to the royal family and children adore her.